The Euro South African Rand (EUR/ZAR) is steady today and is currently trading around R15.7796 on the inter-bank market. 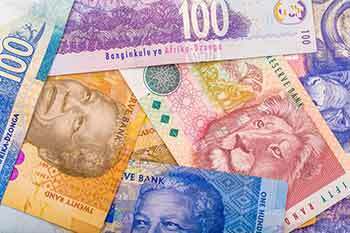 The South African Rand (ZAR) stabilised against the Euro (EUR) after one of South Africa’s largest trading partners, China, benefited today following an increase in the Chinese trade balance figures for March, which shot up above expectation to 220.000bn. Chinese exports also increased above expectation at 14.2% against the expected 7.3%. Nema Ramkhelawan-Bhana, the Head of Global Markets Research, remained pessimistic however saying that this was down 7.5% year-on-year in February. The Euro, meanwhile, steadied against ZAR today despite weaker-than-expected Eurozone industrial production figures for March, which slipped by -0.2%. This has provided some optimism for the Eurozone’s economy, however, as earlier on this week Italy’s industrial production sector also showed a 0.8% improvement for February. 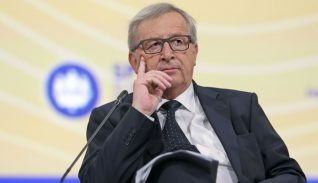 Euro has also benefited today as the US Dollar began to fall after Chinese imports from the US slipped by 28%, denting confidence in the single currency’s biggest competitor. 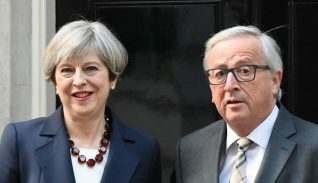 Many Euro traders have been focusing on the UK’s Brexit developments today, with Prime Minister Theresa May being granted a 6-month delay enabling her to push forward a withdrawal agreement through Parliament. Looking ahead to next week, ZAR traders will be awaiting the Chinese FDI Foreign Direct Investment figures for March on Monday, and with any improvement this could benefit the ZAR/EUR exchange rate. Euro traders, meanwhile, will be looking ahead to Tuesday’s publication of the German ZEW survey into economic sentiment for April, which is expected to sink. The EUR/ZAR exchange rate will be directed by political developments next week, and any indications that the ongoing Brexit dilemma shows some signs of improvement, this could buoy confidence in the struggling single currency.